Time Sensitive Networking (TSN) is the new catchphrase in industrial automation. The concept and its benefits are presented in our opening article in the April feature on control systems and automation. We also consider the advantages of adopting a recognised IT platform and operating system, with expert support, to automate condition monitoring and optimise production uptime. We take a closer look at safety standards relating to low voltage switchgear and controlgear assemblies and the production of transformers and miniature substations to meet specific standards and applications. Lighting in industry is often overlooked, yet it can have a significant impact in improving safety, boosting efficiencies and productivity and, as reported in this article, plant growth, in the horticultural industry. 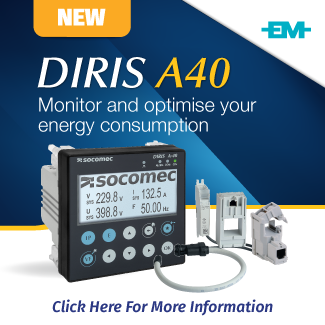 With regard to measurement and instrumentation, in this issue we focus on flow measurement and in particular the challenge of accurate flow measurement in the dairy industry. Importantly, Ian Jandrell in his comment reminds us of the critical nexus of energy and information that drives modern industry – and frames the focus of Electricity + Control – and he suggests that it is now energy that has become the more concerning of the two. John Browett, General Manager of CLPA Europe, looks at how time sensitive networking creates synchronisation within a network and how this benefits industrial automation applications. Siemens presents the case for industrial customers to take advantage of a cloud-based open IoT operating system to manage condition monitoring, keep IT costs low and benefit from established IT expertise. The IEC 61439 series of standards applies to low voltage switchgear and controlgear assemblies. Johan Basson, Managing Director of JB Switchgear Solutions, examines some of the terminologies used, to clarify their meaning and application. Over many years the dairy industry has faced the challenge of accurate flow measurement in receiving, offloading and processing applications. Endress + Hauser assisted one of its dairy industry customers in the Western Cape to improve the accuracy of flow measurement – and reduce milk losses – in the processing area of the plant. VEGA’s VEGAPULS 64 introduced the first radar level sensor for liquids that measures at a frequency of 80 GHz, which allows for better focusing of the radar beam and makes measuring easier and more reliable, even under difficult conditions. Gregg Cocking, editor of Lighting in Design, looks at the use of LEDs in the horticultural industry where light can now be tuned to boost yield, customise plant characteristics and maintain plant health. 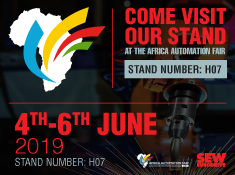 WEG Transformers Africa has a long history of manufacturing transformers and miniature substations for industry and utilities in South Africa and other African countries. E+C visited the company’s Wadeville facility to do a factory walk-through and learn more about its production capabilities and services. NETSCOUT Arbor welcomes the arrival of TLS1.3, the latest advance in encryption technology, but notes that it is going to require a re-think of certain mechanisms for detecting and mitigating some forms of distributed denial of service attacks. Since transport reportedly accounts for a fifth of global energy demand and a quarter of energy-related CO2 emissions, electric mobility is widely seen as a way to improve air quality and meet global goals to combat climate change. Danfoss suggests that cities have the potential to be a key driver in electrifying transport – and they could start by electrifying their bus fleets.